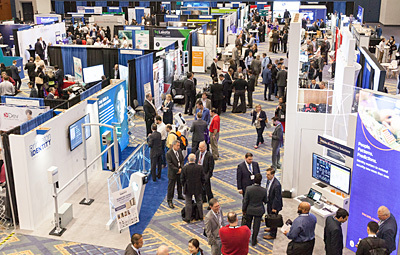 Get your free pass and join us for the 100-booth connect:ID Exhibition. On display will be biometrics, secure credentials, fintech, mobile and online digital identity systems and much more. Check out the latest innovations and trends in identity solutions, stop by our seamless travel and digital identity pavilions, and meet the new kids on the block in our start-up zone. Your free pass also grants access to our Knowledge Exchange seminar program . Booth 206 CardLogix manufactures smart cards and customizes software solutions for remote and mobile enrollment, instant card issuance, trusted identity verification with biometrics, secure transactions, and protected data and assets. Booth 28 Heimdal is focused on body worn camera.It has developed a facial recognition system, which is used in body worn camera and gate control access.Accuracy, efficiency and real time are the keys. Booth 22 A SIMPLE, TURNKEY, and EFFECTIVE Digital ID Card App and ID Management System. Booth P1 Keyless is a decentralized protocol for authentication and identity management driven by easy to use, secure biometrics.